Midwest-CBK of Cannon Falls, Minn., is recalling about 25,000 Baby Rattle Socks sold in the U.S. and Canada. The small ornaments can detach from the socks, posing a choking hazard to young children. The firm has received one incident of the rattle detaching. No injuries have been reported. 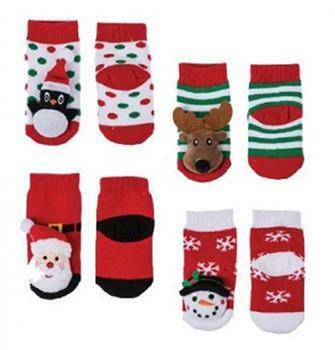 The socks are 100% cotton and have an animal or character sewn onto the toe of the socks, including a snowman, reindeer, whale, flamingo, tiger, or shark. The socks, manufactured in China, were sold in children’s sizes 0 to 12 months at boutique gift stores nationwide from October 2017, through December 2018, for about $10. Consumers may contact Midwest-CBK at (800) 394-4225 from 8 a.m. to 4 p.m. (CT) Monday through Friday, or by email at productrecovery@mwcbk.com for more information.